A search for Jewish roots." Admission $12, advance online reservation $8. 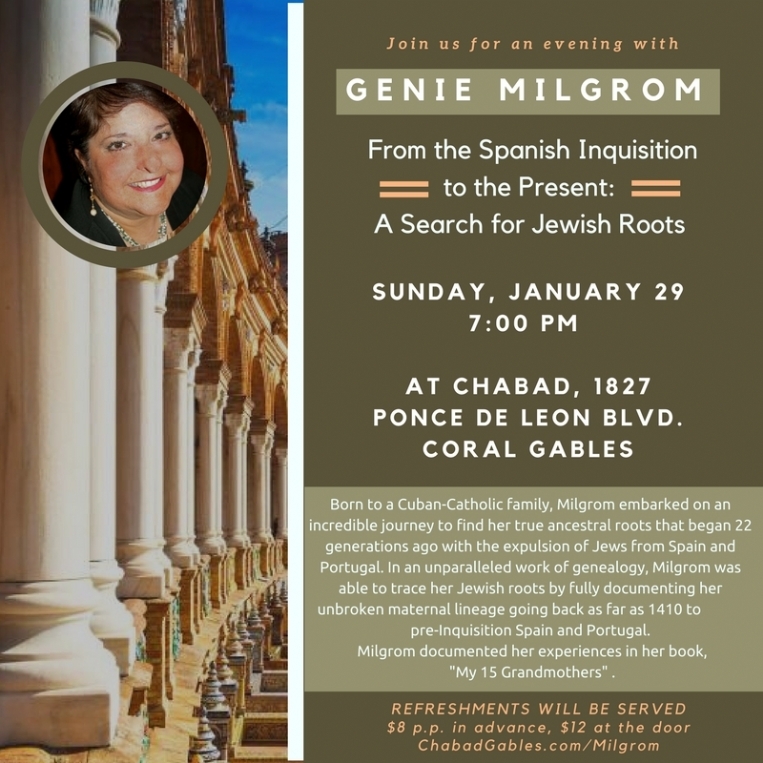 Born to a Cuban-Catholic family, Milgrom embarked on an incredible journey to find her true ancestral roots that began 22 generations ago with the expulsion of Jews from Spain and Portugal. In an unparalleled work of genealogy, Milgrom was able to trace her Jewish roots by fully documenting her unbroken maternal lineage going back as far as 1410 to pre-Inquisition Spain and Portugal. Now the president of the Jewish Genealogical Society of Greater Miami, Milgrom documented her experiences in the books, "My 15 Grandmothers" and "How I Found My 15 Grandmothers: A Step-By-Step Guide."